On Friday March 27, asteroid 2014 YB35 passes our planet at a distance of nearly four and a half million Kilometers. No small rock, YB35’s estimated girth of 750 meters or so, likely accounts for news stories and internet chatter of “NASA on high alert” and “near miss” hysteria. As of today, 1563 such objects grace the PHA (Potentially Hazardous Asteroid) roster. A PHA is any space object orbiting within 100 LD (1 Lunar Distance being the distance between Earth and the Moon) and large enough to make it through our atmosphere. 2014 YB35 will pass at 11.6 LD. I’ve spent the last while pondering why sporadic asteroid buzz annoys me so much. As someone who pays attention to these things, a person devoting countless hours and energy in hope others start paying attention – reality dictates most won’t give it a second thought after Friday. 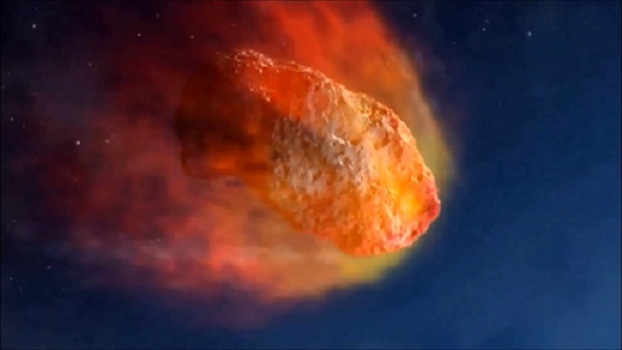 The 1908 Tunguska event over Siberia – 2000 square Kilometers of forest obliterated by a asteroid estimated at 50 meters across, one that vaporized without making impact. Pondering Tunguska makes me grumpy. Intermittent excitement because something is large – tweeted today, forgotten tomorrow. In conclusion, relax – 2014 YB35 is more “just another day” than “high alert” at NASA’s office. Statistically speaking, true “high alert” days are unavoidable – no different from catastrophic earthquakes and climate changing volcanic eruptions. Maybe I’m odd, rather than fret about probability in my lifetime or that of my children, I choose to learn all I can with detached interest. Go figure.